THE EVOLUTION LIST: Evolution and Design: Is There Purpose in Nature? Evolution and Design: Is There Purpose in Nature? PREREQUISITES: None, although a knowledge of evolutionary theory and philosophy of biology would be helpful. DAYS, TIMES, & PLACES: The course will meet on Tuesday and Thursday evenings from 6:00 to 9:00 PM in Mudd Hall Room 409 (The Whittaker Seminar Room), beginning on Tuesday 27 June 2006 and ending on Thursday 3 August 2006. We will also have an end-of-course picnic at a location TBA. 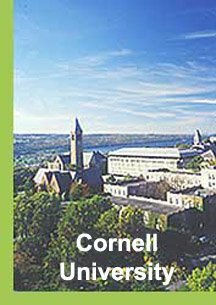 COURSE ENROLLMENT & REGISTRATION: All participants must be registered in the Cornell Six-Week Summer Session to attend class meetings and receive credit for the course (click here for for more information and to enroll for this course). Registration will be limited to the first 18 students who enroll for credit. Auditors may also be allowed, space permitting (please contact the Summer Session office for permission to audit this course). Ruse, Michael (2006) Darwin and Design: Does Evolution Have a Purpose? For more information about this course, click here to email me directly. Although I strongly considered Johnson's Reason in the Balance and The Right Questions, I finally chose Johnson's The Wedge of Truth because it includes an extended discussion of the so-called "wedge strategy," which Johnson has advocated for many years as the most effective method to "defeat Darwinism." "Intelligent design theory" is an integral part (indeed, the lynchpin) of this strategy, and so I chose The Wedge of Truth because it most completely embeds the argument for "intelligent design" in the wider political movement which has stimulated its formulation. I also considered Ken Miller's Finding Darwin's God in addition to Hunter's Darwin's God, but felt that they were too far from the central purpose of the course, which is to examine the scientific argument for design. Also, from a purely practical standpoint, there wouldn't be enough time in the six weeks alloted for the course to read so many texts, and as some are available only in hardcover, it would be a hardship to require that students read them. I will be providing a much larger list of suggested readings for the course, and will post that list to this blog, so watch this space! You might want to throw a quick review of formal logic in there; students will need a good understanding of the argument from ignorance, the false dilemma, and the argument from consequences, among others. I would also suggest adding the Kitzmiller v. Dover decision to the reading list, it's available on the web as both HTML and PDF. Check at Talk.Origins if you don't have it already. Sounds like an interesting course. Thanks for presenting both sides. Best wishes. A lively discussion of the upcoming course hs already broken out at Telic Thoughts; just follow this link: http://telicthoughts.com/?p=634. This summer is going to be so much fun! Does Cornell have a policy regarding recording your lectures, and posting them on the net? Do you have the facilities to even produce a quality recording? I would be very interested in "listening in" on your course in this way. Being in New Mexico, the commute would be prohibitively expensive. I'm looking into the possibility of podcasting the course, and especially the class discussions. If it works out, I will announce it in this blog. Watch this space! Kudos for thinking a bit outside of the box and offering this course, without, necessarily, adopting the views of Behe et al. 1. What is the primary barrier to MORE professors offering these courses? 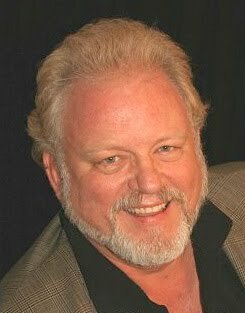 Mr. MacNeil, I read your comments re: Dr. Dembski at TelicThoughts. Do you hold the same contempt for Panda's Thumb and PZ Meyers who are far more malicious in their commentary? Do they represent good science? PZ Meyers, ranting, cussing, calling esteemed Professors names. We can all point to examples. Where doth ye stand? Ask Dilbert cartoonist what happens when one innocently surveys a question re: evolution. He was attacked by Meyers and his wolves, who knipped at, fed upon and tore him apart as fresh red meat. Did you comment on PZ or Panda so boldly? Please point me to such historical evidence and I'll greet you with balanced appreciation. Dr. Dembski been attacked relentlessly as a lone voice online at his site for a long time. I do not condone all things said on a blog by all moderators. But remember, most are in response to attack dogs of Panda and the likes of PZ Meyers. Misquoted, Lied-about profusely, derided, called names. My temper would flare too. Darwin had his Bulldog, the greatest gift to his master was the word - agnostic. And while I commend you on the class. Having attacked Dembski as a liar(read your remarks of hyperbole), and then leaving Pianca alone for his euphoria of sterilization is frankly, a stumbling block to any objectivity on your part. It is rare the man who can be so balanced. Experience of Elders, Education have taught me to be suspicious. Natural Selection would've left me in the dark. Personally, I find PZ Myer's attacks (and many of those in the Panda's Thumb) to be both unnecessary and counterproductive. I have generally believed that we should attack each other's ideas, rather than our persons. However, I must admit to having fallen prey to the same temptation in a post I made to "Dispatches from the Culture Wars" in which I "fisked" as posting by William Dembski. I was admittedly somewhat heated in that post, and can only claim in my defense that I had been spending altogether too much time reading posts at his blog at Uncommon Dissent. Doing so is a lot like spending time reading the posts at Free Republic: if you do it for more than a few minutes, the result is acute nausea. So, it is my place to claim "touche", for indeed you have scored a touch against me, and I have only an appeal to my all-to-human temper in my defense. This is why my fending master always warns us that a true fencer is always calm, never angry, for in anger lies inevitable defeat. I shall try to do better in the future. As to PZ's science, it's top notch – he gets his hands dirty. Richard Dawkins, on the other hand, is IMHO something of a dilletante. As far as I am aware, he doesn't get his hands dirty in field or lab work, and I am biased against people who do not. Science is done in the field and in the lab, not in the ivory tower. That's why the Nobel prizes are awarded for discoveries, not theories. It is important to distinguish between PandasThumb postings and comments left by visitors. PT's postings tend to be extremely well reasoned (note: I am a contributor and thus exclude my own contributions in this analysis) and while hard hitting, they show how ID is scientifically vacuous. Also the claims that Misquoted, Lied-about profusely, derided, called names. could benefit from some examples. Name calling perhaps, but lied about or misquoted? I have yet to see evidence of such on these sites. Derided? Perhaps his work but that's based on the quality of the research. I agree that some of the commenters on PT tend to make things far too personal but PT does not control the content of the comments (see the moderation policy on PT for exceptions). PZ Meyer's Pharyngula is an excellent blog which explores many exciting new research at the same time showing what is so wrong with ID. And PZ Meyer's blog is also a very politically motivated blog. It's important to separate these.